At Marathon Ginseng, we provide exceptional customer service with personalized health information. Our Nutritionist can help advise and recommend you on the use of our Wisconsin ginseng and its nutritional benefits. Fill in the form below and we will get back to you within 24 hours. 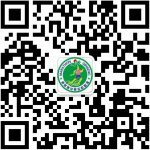 You can also connect with us on WeChat （微信） Marathon_Ginseng. We’re happy to hear from you and help answer any questions.